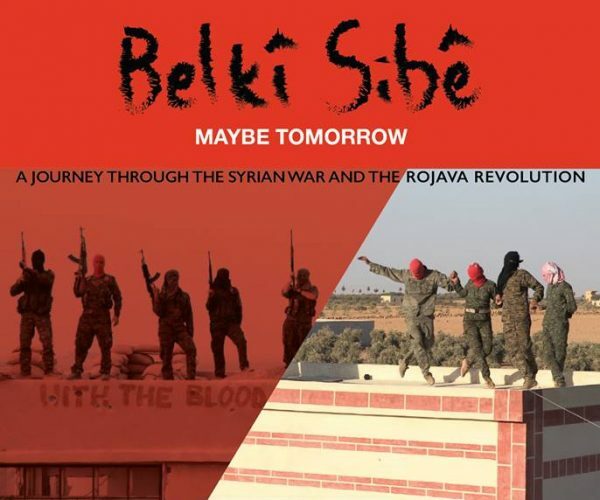 The point of this interview is to draw attention to Alexis Daloumis’ film, Belkî Sibê/Maybe Tomorrow: A Journey Through the Syrian War and the Rojava Revolution. It was not our intention to discuss the history of the Syrian war (See here for a detailed analysis by Patrick Cockburn) nor the politics of the Kurdish revolution in Rojava (See here for some of the latest work on that subject). Instead, we discuss the conditions of shooting a film on the frontlines of a revolutionary war in the Middle East, and the historical archive Daloumis and his production team (the so-called “shadow crew”) have created. It is often said that “history belongs to the victors” (a quote misattributed to Winston Churchill). Interviewing Daloumis reminds me instead of some of the final words of Salvador Allende: “history belongs to the people, and people make history”. This statement is particularly apt in the case of Daloumis’ film. Shooting more than two hundred hours of footage over the course of eighteen months with a “run and gun” Canon XC10 and a series of mini-cams attached to the heads of numerous YPG fighters, their efforts to capture history as it is being made (in Allende’s words) by the people, have resulted in the creation of a significant archive that includes terrifying and spectacular moments, but also contextualises the revolution within layers of “everyday life”. The question (and one of the main subjects of this interview) is whether that footage can be formed into a feature documentary. 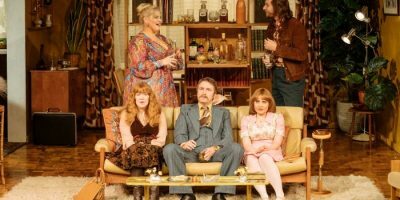 This will largely depend on donations to the recently launched crowdfunding campaign, but also on the support offered by audiences in various cities across Europe. As Daloumis explains in the interview, the creation of this particular history has to be a collective endeavour, and (as with any low-to-no-budget documentary) will require a lot of solidarity. One of his main hopes is that raising enough cash through the crowdfunding campaign allows Daloumis to employ refugees from the Syrian war on translating many of his interviews (which in itself is hundreds of hours of labour, were the whole archive to be processed). And it is important that the whole archive is made fit for exhibition at some point, not only because it will enable Kurdish, Arabic and Syrian voices to be heard in the English speaking world, but also given Daloumis’ unique position as a filmmaker/soldier. This pre-established degree of trust between interviewer and subject would be considered invaluable by any decent journalist, and it allows Daloumis to draw something out of his interviewees that a journalist might miss, such as spontaneous yet profound moments of reasoning that may occur while a YPG fighter is cooking pancakes (as featured in the interview). However, Daloumis’ footage is not the clichéd “intimate portrayal” of historic events. Rather, it aims to play an active role in changing and shaping history, an endeavour that is remote to the commercially oriented cinema that dominates our screens. It would not be the first time a revolution has been documented “from the inside” (as anyone who has studied early Russian or contemporary Cuban cinema will tell you), nor is it the first time that a film finds itself in sync with revolutionary aims and purposes. What Daloumis’ film represents is an opportunity for the story of the Rojava revolution to be told by those who are building it. Projects such as this are few and far between.